Although the world hasn’t carved out a proper identity for Torie Lynn Harper, she is about to present one that will keep them all talking. When life, family and friendships are all pushed to the brink of survival, resilience is tested and her core identity is gone, she fights back. Lifelong friends Millie and Torie break cultural stereotypes, challenge acceptance and thwart harm during their transition from suburban life to inner-city living. 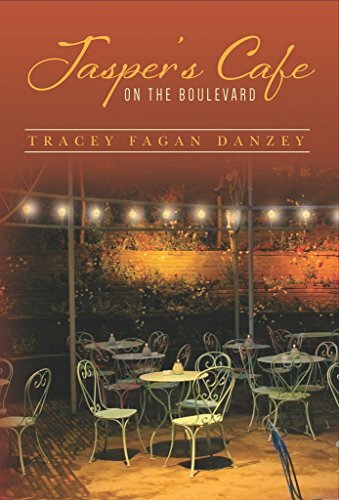 Desperate to fit in, Torie quickly becomes a member of a grassroots movement determined to hinder the closing of the iconic “Jasper’s Café” on the boulevard. She would soon become the envy of many and unknowingly the enemy to one. One menacing coincident too many leaves Millie unable to ignore her growing concerns as threats to her friend increase. Torie must search for herself amid deception, workplace improprieties and a weathered romance. For the first time, both old and new friendships will be confronted with cultural differences, opening doors to hurtful realities, humorous exchanges and unlikely friendships. $0.99 on Kindle.